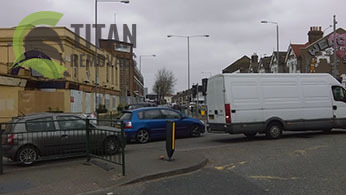 Titan Removals is a leader in the field of professional moving services in Waltham Forest. Our vigilance and expertise in the field of domestic and commercial moving make us the logical choice for anyone relocating a property somewhere across the borough. We are able to relocate your household from and to any spot in the E and IG postal districts. We are going to do that with the due diligence, care and respect for you and your property. Our policy of fair pricing and flexibility of schedule applies as always. The van we will send to you is going to be clean and very well maintained. All our vehicles are navigated through the latest GPS systems available, so that you can keep track of your goods while they are on the road at all times. All vans come along with the safety gear that is necessary to ensure the safe and hassle free transportation of your goods. These include moving blankets, belts, ropes, trolleys etc. Conducting a home or an office removal is a complex job that includes many components. It would not be enough to simply haul your boxes on a truck or a van and drive off. There are quite a few other things that need to be taken care of in order to make your moving experience as smooth and pleasant as you want it to be. Have no fear, at Titan Removals we think about that too. Our full removals in Waltham Forest service can be complemented with a wealth of additional services. For example, when you are vacating a rented property, you would need someone to clean it up well so that it is easier for you to obtain your rental deposit back. That’s where our end of tenancy cleaning offer comes in handy. We will send trained and well equipped cleaners to your place and we are going to make sure that the house/apartment is spotless. In order to better prepare for your upcoming relocation, or simply to help you get rid of junk and unnecessary items that have been piling up on your place, we have tailored a rather efficient, eco-friendly and affordable rubbish removal services in Waltham Forest too. Our technicians have permits to all recycling depots in E and IG. Call today for further details. 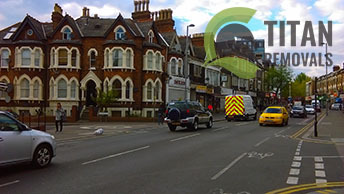 Waltham Forest is a North London borough with a rather diverse and colorful face. It is usually divided in two parts. The southern premises of the borough consist of built up urban environment in their majority, while the north is home to a number of rather affluent residential developments and extensive green spaces, water reservoirs and protected Nature Reserves. Leyton Sixth Form College, Waltham Forest College and Sir George Monoux College are the three colleges of further education that are based in Waltham Forest. The population of the whole borough is estimated at 268 020 residents. Among the most popular names that are associated with the borough in one way or another are David Beckham, who was born and raised here, guitarist for Uriah Heep Mick Box, beloved writer and illustrator of children’s books Jill Barklem, the first British winner of the Advanced Dungeons & Dragons Championship of America, and later game designer and writer in his own right Joe Dever and many others. We should not miss to mention that the famous Whipps Cross University Hospital is located here too. The hospital was created by the West Ham Board of Guardians in 1889. The hospital treated wounded troops during WWI and ever since it has become one of the most notable institutions of its kind on the territory of London. So notable in fact, that ever since 1969, Whipps Cross Hospital has its own radio service, funded by the Walthamstow Lions Club.